App Builder Appy Pie, April 05, 2018: You are a proud owner of an awesome app, Congratulations! Guess what? Your app is one of the million such other apps, quite literally. In your category alone, you would be competing with thousands of apps. As an app developer or an app owner, you are definitely building an app with the intent to make it a great success. But it is also quite common for the developers to understand the perseverance, efforts, and strategies that go into building up the success of your app. Building an app is merely the beginning to building a successful business with it. The app that you build needs to be nurtured right from the inception and the care must continue all through the lifecycle of the app in different measures. The success and sustenance of the app depends on the ability of the developer to move with the times and capture the attention of the user base. It is your responsibility as an app developer and owner to keep updating and tweaking the app as part of an ongoing process. However, unless these efforts are channelized in a planned way towards the right direction, and this planning must take in to account both, the pre-launch and post-launch phase of the app launch. The app marketing strategy must be honed continuously so that the app remains visible to the target users. While most of us may have gotten a lot of advice from a lot of people about what marketing strategies may be adopted for your app to gain success, however, Appy Pie has compiled a list of pre and post launch pitfalls that you must avoid. The time before launch of the app is quite crucial and the strategies for this period of the lifecycle of the app play an important role in the path that it is going to traverse in future. There are a number of elements in this phase of app development that need your attention and failing to do so will only impact the app negatively. Irrespective of the nature of business you are into and the product that you are offering to your customers, you are definitely going to need to conduct a thorough research. Your app is going to be launched into the market alongside a fair number of competitors. When you research the competitors well enough, you get great insights into the target audience value in an app. 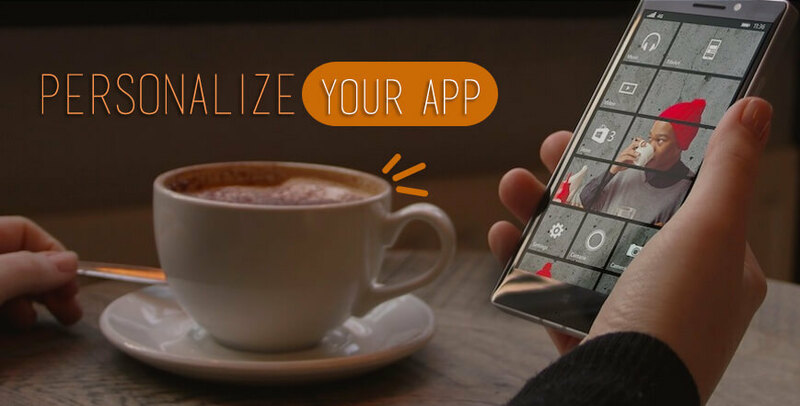 Not only would you get ideas about naming & branding the app but will also understand the difference between those apps that make a mark on the target users’ memories and those that do not. Study the competitors to understand which categories they are focusing on, which keyword rankings are they working to stay high on, and a whole lot of more information. With all this meaningful data in front of you, there is a need for a deep analysis so that you can expose the right kind of audience to your new app. As you research the market and competitors, pay attention to the reviews that your competitors are receiving. This helps in a big way when you are trying to understand what it is that the users are enjoying in the app and what is it that they do not like. These reviews can also help you understand what new features or services that they are looking for in an app. The importance of App Store Optimization or ASO for the success of an app is paramount irrespective of the app or business category that you are planning to cater to. The app that you make and invest your whole soul into, needs to first be visible to the right audience for anything further to happen. A consumer possibly someone who is looking particularly for an app like you, would only be able to install it and use it, if they can actually see your app. It is through ASO that you can make sure that your target users can discover your app for the categories that you are building your app for. If you ignore this one aspect you are effectively blocking out one of the most effective channel of acquiring users. The title of the app should be something that would make you stand apart from the rest of the competitors. However, it is important that the title be easy to recollect. The description of the app must be formulated by keeping in mind the targeted keywords, the features that you are going to include in your app, and the descriptions of the competing apps. Using the app yourself, or getting it tested by friends, family, and employees would only give you favorable results, however, are they really your target users? Would they be able to help you understand what is it that your target users are looking for? 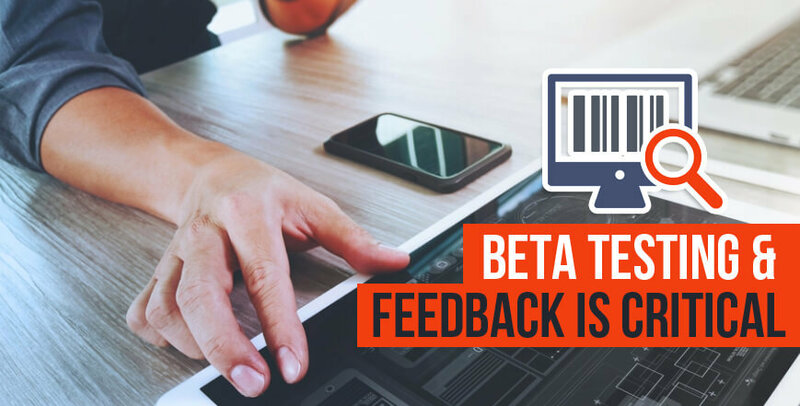 It is of critical importance to be able to receive unbiased reviews, responses, & reactions to your app and for that you need to beta test your app. This is one step that simply can’t be ignored before launching the app. Beta-testing your app can actually reveal valuable information that would allow you to tweak and update or edit your app before you finally launch it. The beta testers when chosen well, can help you find those flaws that might have escaped your attention and include such features that you might not even have considered. This feedback from your beta testers is instrumental in enhancing the user experience of the app. Clearly define your target audience, plan your strategy to find and recruit the right kind of beta testers, develop a trusted network that would help you make your app better. Not using content marketing to its maximum potential can prove to be one of the most critical errors. The app owners tend to make an assumption that since they are only making the app for the B2B or B2C companies, hence they can afford to ignore the inbound marketing strategy. It is never too early to begin the process of marketing for your app. Your app can only be discovered if you market the app at the right time. There must be enough buzz in the market about your app, before it is finally launched in the market. There are numerous different techniques including the launch of a preview trailer, featuring in the right forums, and a beta testing blog that would inform your followers about a number of different developmental phases at an early product development phase. Deadlines, or timelines are important, especially when you are launching your app. Plan a release date for your app well in advance, so that your marketing efforts can be planned properly, and your app gets a fair amount of coverage in the press. For an effective marketing strategy, plan a series of steps and plan each step in a way that would create positive exposure for your app. The app release date must be planned so that it does not coincide with any other big announcements or events in the technology industry. You would definitely not want to share the spotlight. After you have launched your app, your responsibility doesn’t get over and there are still quite a few things that you must look into so that the app keeps performing at the best level. There in fact are a great number of metrics that must be an ongoing focal area. What do you think will happen, if you launched your app and forgot about it? You are only going to set it up for disaster! Paid user acquisition is a lucrative deal but relying solely on it might not be a great idea. Pay attention to user engagement and keep an eye on the convenience and effectivity of the entire user experience of your app and keep a track of the number of app users that you have been able to retain. This is what would form the basics of your financial benefits of a successful app. It is absolutely critical that you can stimulate your users and motivate them to download the app and then keep going back to using it which is only possible when you enhance the user experience. Personalization makes everyone feel special, taking the relationship to greater heights and carves out a special place for you in the heart of the users. It can actually help you retain your customers and stay in love with you, even as numerous other players might be coming in and out of the market. Personalization does not end at simply addressing your user by name, it goes beyond that. Showcase only those elements that a certain user prefers or enjoys and personalize the whole journey of your users with your app. Following are some of the points that can help you build your strategy of offering personalized services. Wouldn’t it be interesting if you used this update to let your users know about the new things that you have done with the app, how are these changes going to enhance their experience with the app, and which issues have you taken care of with this update. When you dispense this kind of information, you are definitely going to bring back inactive users while reducing the risk of your app being uninstalled as users might feel that the incessant updates aren’t really doing much for them. It is natural that we lean on references, reviews and feedback about any product that we plan to buy. Your users too are going to do the same and go through the ratings and review that people have written for your app. It is natural that you receive some bad reviews, but how you deal with them is important too! A negative review that hasn’t been responded to, does more damage than the one where you take some time out and respond to them. Maintain a clear communication with your customers and establish an image of an app that cares what people think about them. Whether it is their progress in a game, the benefits of a fitness app, or any other app, not many people would simply share because you would like them to. Design an awesome referral campaign because you can then bank on the trust that your users have built in their circle of friends and increasing your user base. However, simply designing a referral campaign is not enough, incentivizing it is important too! Whether you want your users to share an update from within your app, or like & share your app’s page on the social media. It is a common misconception among app owners that the number of downloads and installs are the only numbers that matter. However, there are some more metrics that must be monitored for continued health and success of your app including Daily Active Users (DAU), Monthly Active Users (MAU), Retention Rate, Average Revenue Per User (ARPU), and Lifetime Value (LTV). It is important that you determine the right metrics that need to be monitored for continued success of your app. These metrics can give you valuable insight about what works in favor of your app, and which aspects need to be monitored. We cannot emphasize enough on the importance of push notifications in staying connected with your users. However, there is a certain set of users who do not like to be bothered with these notifications and when they receive regular push notifications, they are not only going to feel annoyed, but may even uninstall your app. It is important that you plan your push notifications well, and make sure that you offer your users an easy ‘opt-out’ option if they wish to.